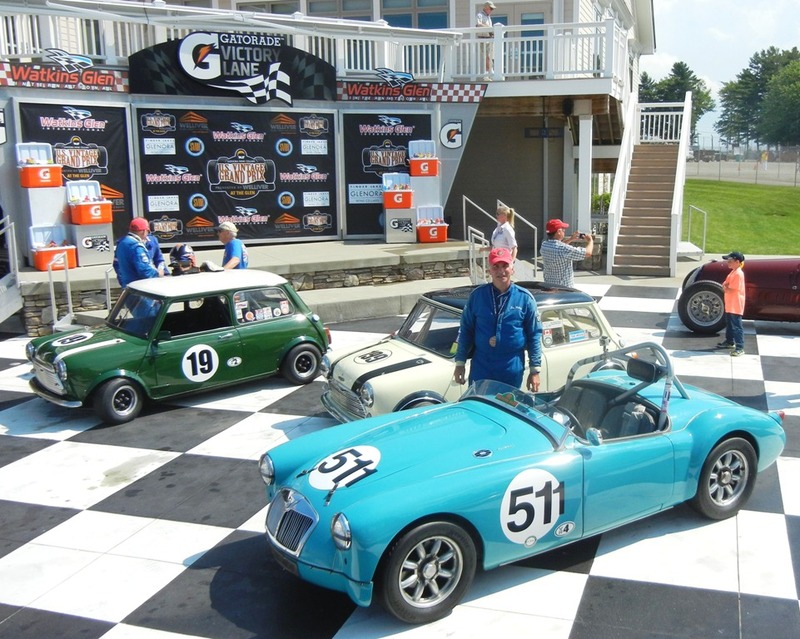 Holody Awarded "MG Collier Cup"
MGA racer Jim Holody from London, Ontario, was awarded the prestigious "MG Collier Cup" at this year's Collier Cup MG race, as part of SVRA's "US Vintage Grand Prix" at Watkins Glen, NY. The "Collier Cup" race is for MGs only, and includes cars from Pre-War MGs to MGBs. 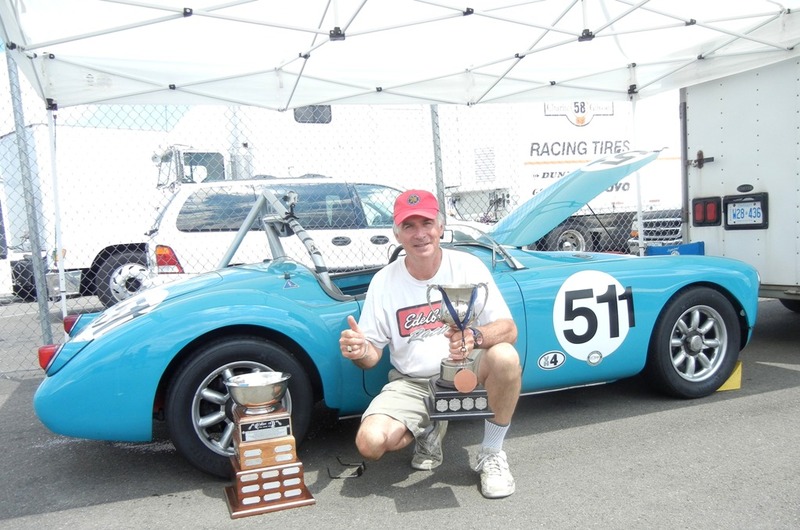 SVRA has been running this all MG race and awarding the Collier Cup - in memory and hnor of the MG racing Collier Brothers - since 1985! It is not won by the race winner, but rather is awarded to the MG racer in the race who best represents the "Spirit of MG Vintage Racing" - in both car preparation and driver conduct on and off the track. The winner is selected by a vote of the MG racers at the event. 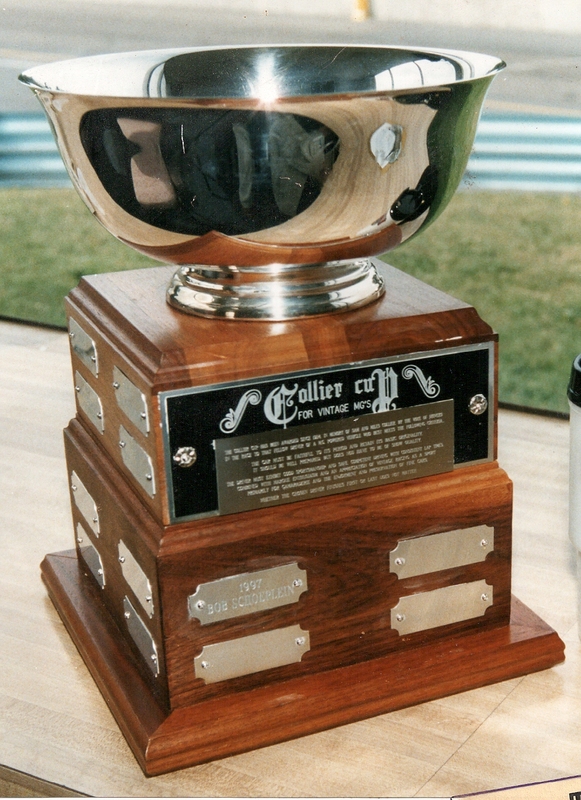 Jim later reflected on receiving it "Receiving the Collier Cup was totally unexpected and rattled me for the rest of the podium presentations. I thanked all the MG drivers and commented on the significance of the Collier Cup, and the Collier Brothers, to MG racing. 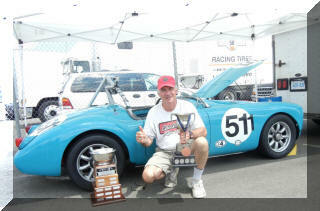 I was proud to receive this award that was also won by Don Funke in this same MGA Twin Cam in 1990 - that he raced here." Jim was also honored wo win the "Bucher-Decker Memorial Cup" (Sponsored by NAMGAR) for being the 1st MGA overall in the race! For Immediate Release and Publication. This PR may be edited and shaired. MGVR Logo attached for your possible use.